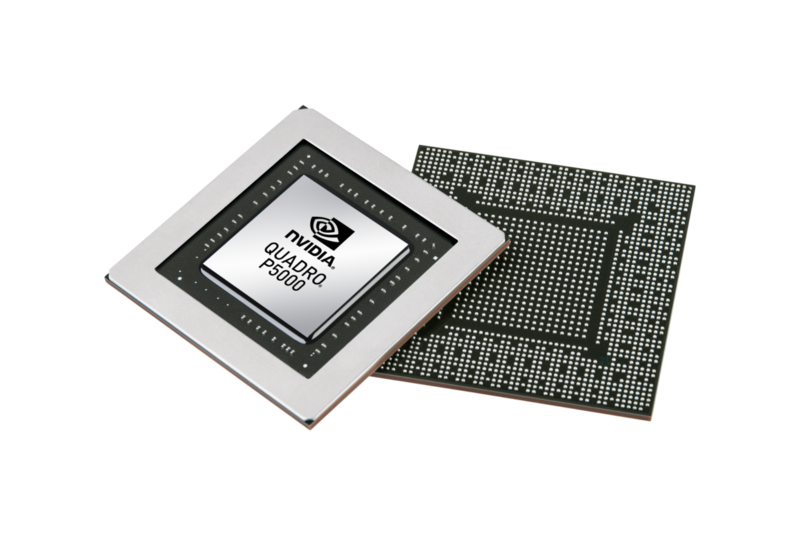 The Nvidia Quadro P5000 is a mobile high-end workstation graphics card for notebooks. Similar to the consumer GeForce GTX 1070 (Laptop), it is based on a slimmed-down GP104 chip with 2048 shaders. The graphics card is designed for the Kaby Lake generation and is the successor to the Quadro M5000M (Maxwell). However, the P5000 is equipped with 16 GB GDDR5 video memory (at a lower bandwidth), while GTX 1070 is limited to 8 GB. The clock rates range between 1164 MHz (base) to 1506 MHz (typical Boost) and up to 1657 MHz (max.). The theoretical performance should be on par with the GTX 1070 (if the clocks did not take a massive hit), so the GPU should be significantly faster than the previous M5000M. Even the old M5500M could be beaten. The power consumption of the Quadro P5000 is similar to the old Quadro M5000M at 100 Watts TGP (max power consumption incl. memory) resp. 73.4 W TDP according to Nvidia. The card is therefore suited for large 17-inch notebooks.